Any user with an iOS 12 device can use Screen Time with its many custom features and settings to put restrictions on apps remotely from their iPhones or iPad settings using iCloud. Screen Time is great for parents who want to put restrictions on the use of their children’s devices. On the other hand, there are times you may experience Screen Time not working iOS 12. There are various ways you can solve Screen Time issues that arise when using it in iOS 12. In this article, we highlight some of the ways that you can fix the Screen Time not working iOS 12 issues. Step 1: Go to your iPhone or iPad and click on Settings. Step 2: Click on the Screen Time tab. Step 3: Click on the App limits button. Step 4: Then tap on the Add limits button. Step 5: Select which apps you want to set limits on example the movie app. Step 6: For your movies app set the maximum time or you can set different times for different days by clicking on the Customized day’s button. You will then be receiving an on-screen warning every time you reach your set limit on the apps you set a limit. Once the time elapses and you do not stop using the app, it will stop loading more info so you can’t use it anymore till the next day. There are simple and easy ways of fixing the Screen Time issues that may arise when using the features and settings on Screen Time. You can use Screen Time to put restricts on apps and their content on your phone using the Content & privacy restriction tab. Step 1: On your iPhone or iPad go to the phone Settings. Step 2: Click on the screen time button. Step 3: Scroll down to the Content & privacy restrictions tab. From here you can control everything from deleting apps, installing new apps or doing an in-app purchase. You may experience Screen Time not working in iOS 12 where you find some features are not clickable or greyed out like app limits and downtime. 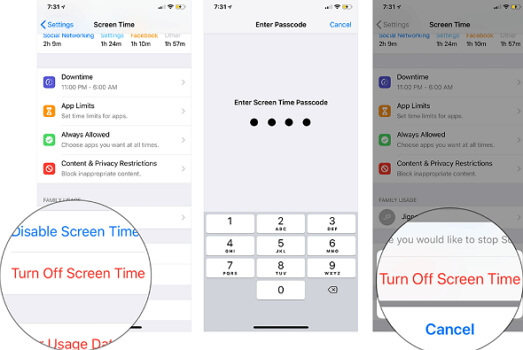 Screen Time comes with some limitations to some of the options on your iPhone or iPad like it can’t allow the usage or turning on of new Screen time or hiding the Screen Time turn on. This means you can only access your iCloud account if you enable it so that you access your iCloud account as the parent. Step 1: Go to your iPhone or iPad Settings. Step 2: Click on the Profile name tab. 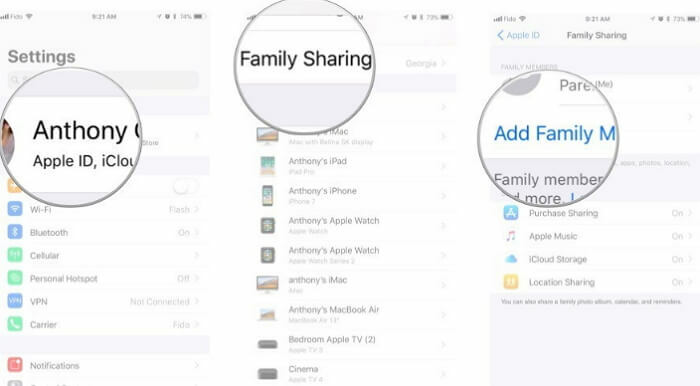 Step 3: Then select the Family sharing button. Step 4: Go to the Add family member tap. Step 3: Then tap on the Turn off screen time button. iMyFone iOS System Recovery is a repair app for iOS devices and its versions that is used in returning the iPhone to its fully functioning state. It has gained much reputation from Macworld, PCWorld, Techradar, iPhoneLife, 9TO5Mac, etc. 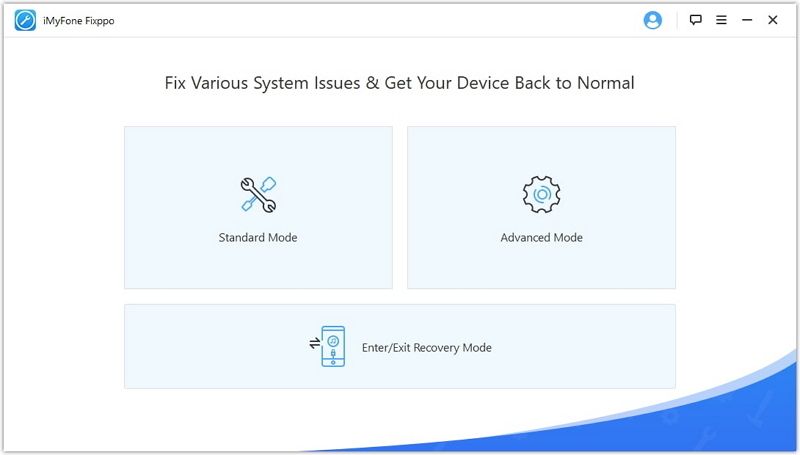 You can use it to fix serious issues on your iOS device using the Standard mode, Exit recovery mode and Advanced modes. You can use this app to fix various other not so serious problems at home like if your iPhone will not restore, your iPhone has a black or white screen of death, will not turn on or is frozen etc. This app is compatible with all iOS devices and versions iOS 12, iPhone X and iPhone 8/8 plus. 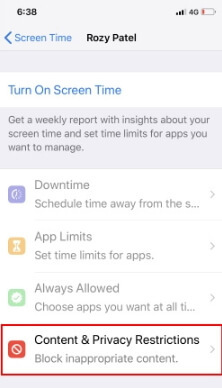 Screen Time is a good app to use to restrict usage of specific apps on your iPhone or iPad. As a parent you can use Screen Time to remotely restrict your child’s phone usage to a limited time daily. But there are times when Screen Time can sometimes experience Screen Time not working iOS 12 and you need to know how to fix these problems. With the above information you are now in a better position to know what to do. These different methods are easy and simple to follow that will help you not get stranded when you get Screen Time not working iOS 12.